I have raised over £595 for Movember – thank you to those who have donated and supported me!!! I am really excited that I am ranked number in the 1469 in the UK for funds raised (out of 1m+ UK participants)! I have 4 days left to push past and raise more, wouldn’t it be amazing if I could pass the £1,000 mark? 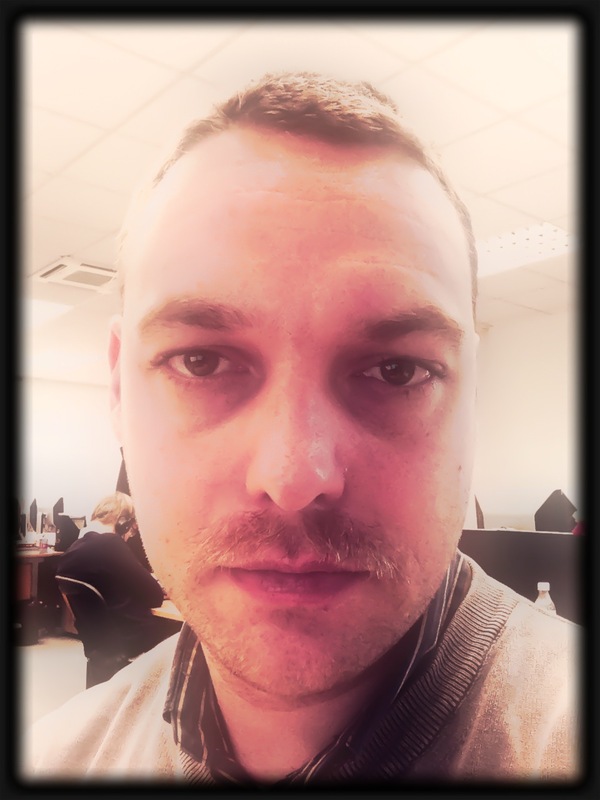 If you haven’t donated to support this great cause – men’s’ health awareness for prostate and testicular cancer – please consider sponsoring me (http://mobro.co/scholtz) or the Movember organisation directly. Once registered at movember.com each Mo Bro (e.g. me – see below) must begin the 1st of Movember with a clean shaven face. For the entire month each Mo Bro must grow and groom a moustache. There is to be no joining of the mo to the sideburns (that’s considered a beard), there’s to be no joining of the handlebars to the chin (that’s considered a goatee) and each Mo Bro must conduct himself like a true gentleman. The really important thing about Testicular cancer is that it affects younger men. This is problematic because so many younger lads are too shy to talk to doctors about genital issues and so when it happens, too many young men don’t get it checked, treated and sorted. This is made even more sad by the fact it is almost entirely treatable with little to no side effects! I want to push the message to younger men to check, speak and don’t be shy! If that message takes my growing a walrus on my lip for a month, then that is a-ok with me! Please support this cause by sponsoring me before I chop the whiskers off! Let us beat cancer and help raise awareness of the ability to fight, treat and beat it!